Mary is a fee-based LPL Investment Advisor Representative and Wealth Manager with over 35 years of experience in the areas of investments and insurance. She guides clients through the process of financial planning for their retirement income, college funding and estate planning, recommending diversified strategies that fit their short-term and long-term goals. 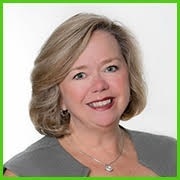 Mary implements those strategies along with sound investment alternatives that focus on the unique objectives of each client and their family. She then monitors the portfolios of her clients assuring that their diverse needs are pursued in the ever-changing global economic environment. Mary is a CERTIFIED FINANCIAL PLANNER® Professional (CFP®) and Investment Advisor Representative with LPL Financial, which is an independent broker dealer based in Boston, Massachusetts. She currently holds Series 7, 63, and 65 securities registrations through LPL Financial, as well as a Life and Health Insurance License, and a Property & Casualty Insurance License. Mary began her career at State Farm Insurance Company as a licensed Property and Casualty representative. She pursued her CFP® designation and has been assisting and advising clients with their Wealth Management needs for over 27 years. Mary has been married to her husband Philip for over 39 years. Together, they have three lovely daughters and seven grandsons which they enjoy immensely. Mary volunteers at her parish church as a member of the finance committee and continues to participate in various ministries in the community. She actively supports the music programs at local Morris Knolls High School and has a special place in her heart for the marching band. In her spare time, she enjoys reading epic novels, writing, singing, following NFL football games and Syracuse University basketball.